Do you have the tendency to procrastinate? 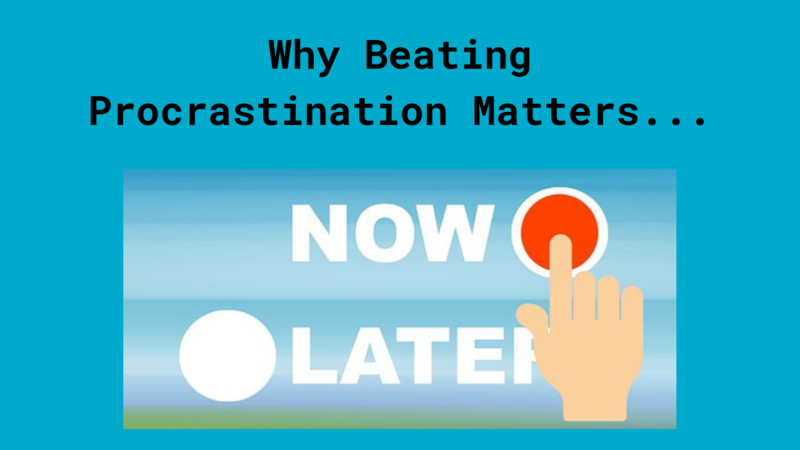 In this article I am going to share with you why beating procrastination matters? The Oxford dictionary gives the following definition of procrastination: the action of delaying or postponing something. A colleague of mine shared with me recently that she was a real procrastinator. And this got me thinking what did it mean for her to be a real procrastinator. I know how it feels I used to have the tendency to procrastinate, however I changed this habit in order to be more efficient and productive. Indeed, I believe that procrastination is a habit connected to a habitual behaviour and belief system. The 1st reason why you procrastinate is because you find it difficult to make a decision on the spot. You procrastinate or hesitate because of the fear of making a mistake or you apprehend that the decision you will make will put you off course. In addition, even if you are off course the idea of taking immediate action head on might seem daunting. The problem is that your lack of decision-making ability can lead to anxiety. The 2nd reason why you procrastinate is simply due to laziness or boredom. You might delay acting on something you know needs to be done because it is just too boring to bare! It could be like tidying up the mess in the garage, decluttering your wardrobe or archiving old administrative documents. The 3rd reason why you procrastinate is because you believe that you cannot or will not do it today but that you can and will do it tomorrow. The problem with procrastination is that it brings with it stress and worry. It is a little bit like catch 22 you might feel frustrated because you are not getting things done yet you procrastinate and stomp your feet wasting time. Procrastination is actually a habit or paradigm and the answer to beating procrastination is to change your habitual behaviour or belief about the way you manage your time. Time management works much better when it is viewed as activity management in accordance with your schedule. The usual tendency is to start with the easier and exciting tasks first. However, I encourage you to turn it around and to start first with the most difficult tasks so that by the time you reach the easier and fun tasks they will be even more exciting. It is proven that the most efficient way of working is to act right away on any problem you might be facing. If there is something to be done act on it right away. If there is a problem to be solved fix it right away. Even though you might not get an immediate outcome you have taken action at least. You could Let go of perfectionism and accept that whatever needs doing is perfect because it is done. Once it is done you can always improve it as you go along. Bridging the gap between intention and action requires a lot of planning, self-discipline, and self-control. Beating procrastination matters because the task you are required to fulfil will not go away and will need to be done eventually: If you do not take immediate action, the more you delay the bigger your list of things to do will pile up. When you get things done now not tomorrow you can see the immediate results, which is encouraging. It has also been scientifically proven that beating procrastination will reduce stress, increase your productivity, efficiency and well-being as well as give you a sense of satisfaction. Among the 3 reasons why you might procrastinate I have just shared with you which one do you tend toward the most? The belief that you will do it tomorrow! Once you have identified which reason rings true to you, you can implement some of the solutions I have shared with you in this article, so that you can start beating procrastination. Did you like this article and you want to learn more? If so, I will walk you through step by step all 10 factors that will predict your life change success at no charge. 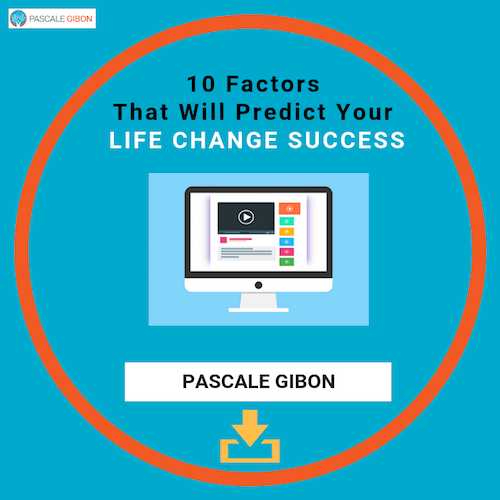 Just click here to get instant access to the FREE video series: 10 Days to Life Change Success challenge and get started now.